The '50s are a fondly remembered decade for many-for both those who lived through it, and those who know it only from nostalgic movies and TV shows. 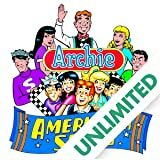 Now journey back to the days of drive-ins and hula-hoops and join Archie and his teenage friends as they frolic through the frantic Fifties! 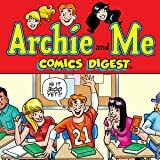 Read about Archie's Scottish ancestors! See the girls in cassimere sweaters, plaid skirts, and bobbysox! Experience the time Archie and Jughead became beatniks! Behold an Elvis look-alike mesmerizing Riverdale! Witness as Moose takes apart Archie, literally! Follow Archie's lead as the group hoots it up at the sock hop! Glide with the gang as they rollerskate through the magical world of Riverdale and laugh again at the antics of American's #1 Teenagers! 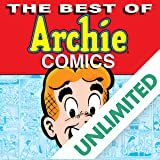 Get set for a second heaping helping of classic Archie stories from the sensational seventies! This volume features more of the best stories of the 1970s collected into one, high-grade volume. 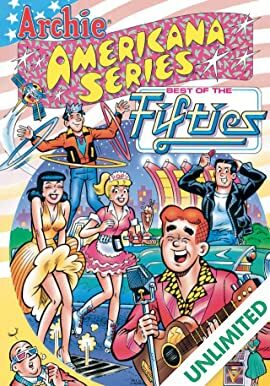 Witness as Archie and his friends get involved in one hysterical situation after another, and enjoy the fads and fashions of the decade. Looking for super-sized specials only found on digital platforms? 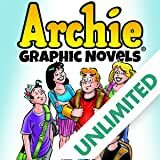 Seasonal collections starring your favorite Archie characters are added monthly! Make sure to check out these excellent exclusives!